I am delighted to announce that Hawk and Dove are offering a range of Oncology Services to support veterinary practitioners in delivering the highest standards of cancer and tumour management. The aim of our services is to make high quality care more accessible and affordable through supporting veterinary practices and providing clients with the option of online consultations thereby avoiding the need for long journeys and the need to take days off work. You can sign up for membership directly and can request a referral consultation or advice by completing the online form. We aim to support veterinary surgeons in delivering the highest standard of veterinary cancer treatment in their practices. 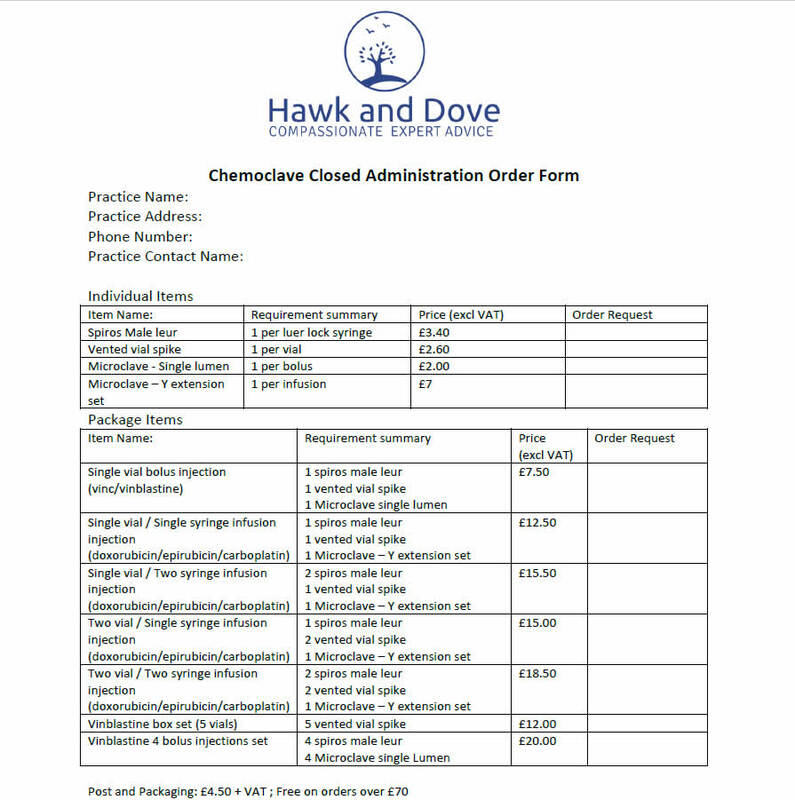 Membership of Hawk and Dove is available on subscription to veterinary practices across Scotland. Membership benefits include access to all the information required to run an in-house oncology treatment service with the emphasis on things that general practitioners can readily implement. Online Consultations £150 (including VAT) Billed direct to the client and payable at the time of booking. Veterinary Practice membership £600+VAT per annum But we are currently offering a discount to £500+VAT per annum for practices that sign up in early 2019. Through the services we provide we hope to ensure that owners still have access to expert advice and feel that the decisions they are making are the most appropriate for their pet, and its associated family members. Please do not hesitate to contact me should you require any further information. My owners were very upset – they had lost my big best friend Barney the previously year at 13yrs to cancer – couldn’t believe it could happen again in such a short time and with such a young dog…..
Why are we called Hawk and Dove? The hawk and dove represent the two most important aspects we need to consider when providing veterinary cancer treatment. The Hawk represents the need for a watchful and aggressive treatment directed at the pet’s tumour or cancer. The Dove represents the compassionate approach needed to ensure that the treatment recommended is the best option for the pet and its family. Our belief is that through balancing these two aspects we will achieve the best quality of life possible, whilst also trying to give owners as long as possible with their beloved pet.